I recently discovered photos of this book, taken in 2011 at my pal Jeff's store Kool Stuff Toys. 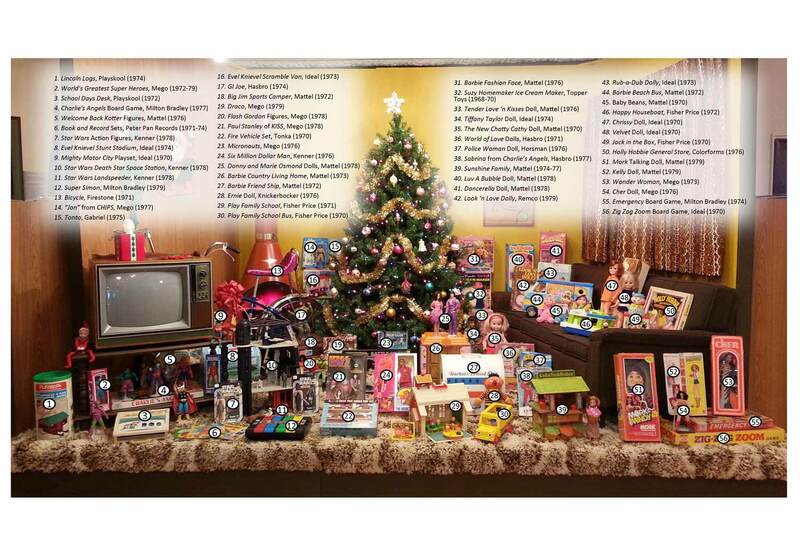 Parkes Run made these giant books in the late 70s and I remember getting at least one for Christmas. In order to use this for CBT I propped it up against a chair and photographed it, so today's feature is a little wonky but still a fun look at this nicely drawn but sparsely written book. 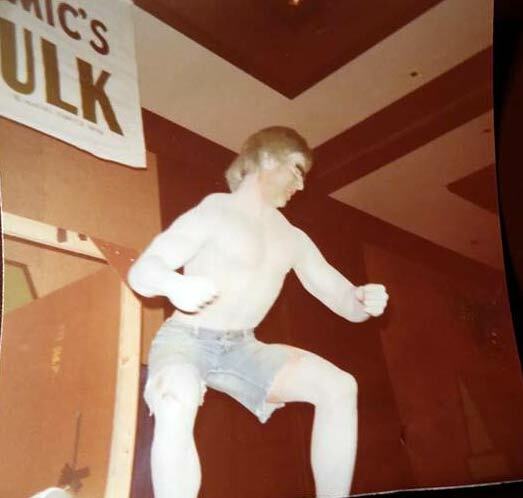 Clark sent in these shots of him and his sister Stef from the Harrisburg Auto Show meeting "The Hulk" and well, this is the worst and most awesome thing I have ever seen. 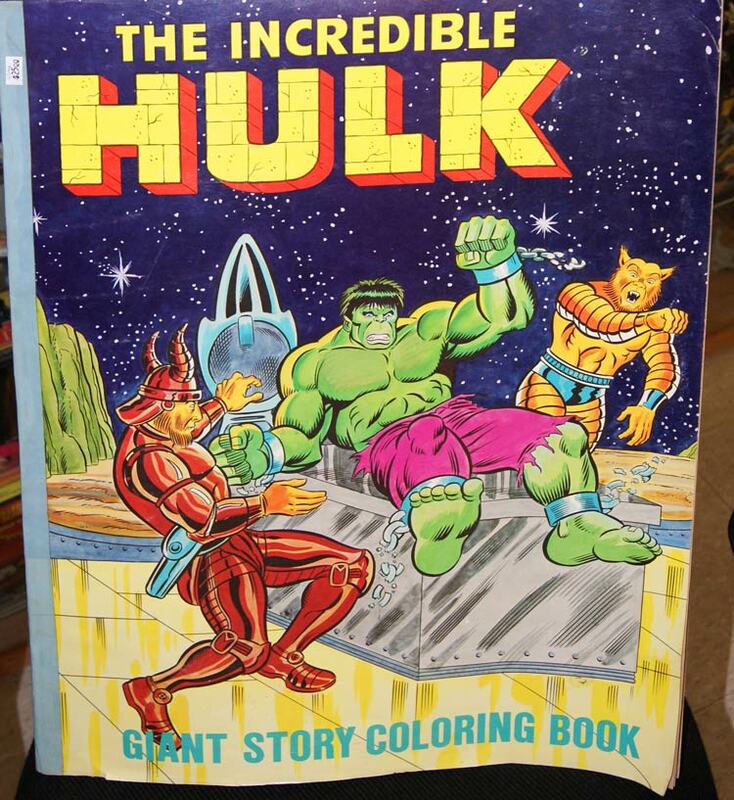 I'm positive this Hulk was not endorsed in any way by Marvel comics as it would give Stan Lee nightmares. I can see where the Hulk's make up ends! Not like the illusion was holding up previously mind you. 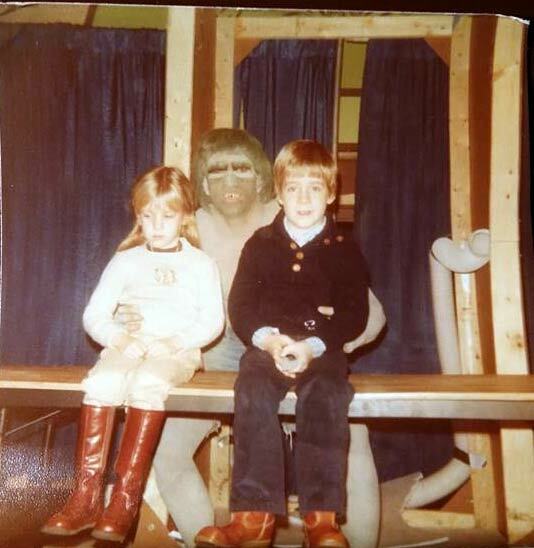 I'd love to find a flyer for this, it probably proudly stated "KIDS MEET THE HULK!". I'm sure dozens of children had expectations of Lou Ferrigno, and they all learned the definition of "bait and switch" that day. Batman and Superman had been replaced by less known DC characters like Warlord and Sgt Rock, the company experimented with home grown figure concepts like The Sarge Team, Warrior Beasts and Pirates of the Galaxseas. 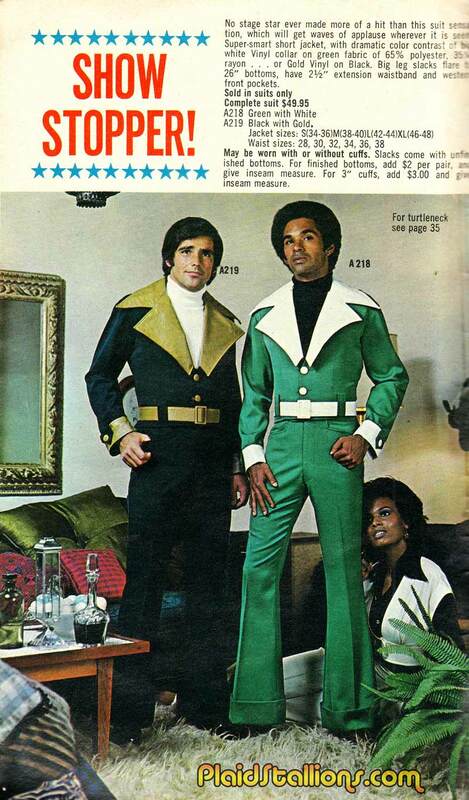 Their big launch for the year was the futuristic Man Tech line and there wasn't a single whisper about Krystar to be heard. All this and some very familiar rack toys! 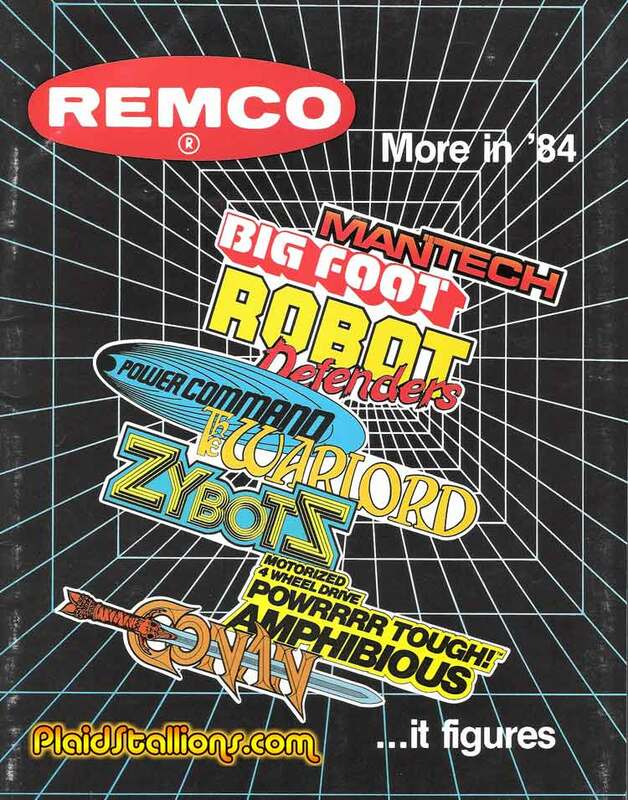 Visit the 1984 Remco Toys Catalog here. Jarrod from The Monroe County Historical Sociiety sent me photos of an awesome display they've set up for the Holiday season. It's a complete 1970s living room complete with vintage furniture shag carpeting, a tree with original 70s ornaments and enough toys to make ten awesome 70s Christmases. Seriously look at the Toy love in that shot and see how many of those toys you got for Christmas. 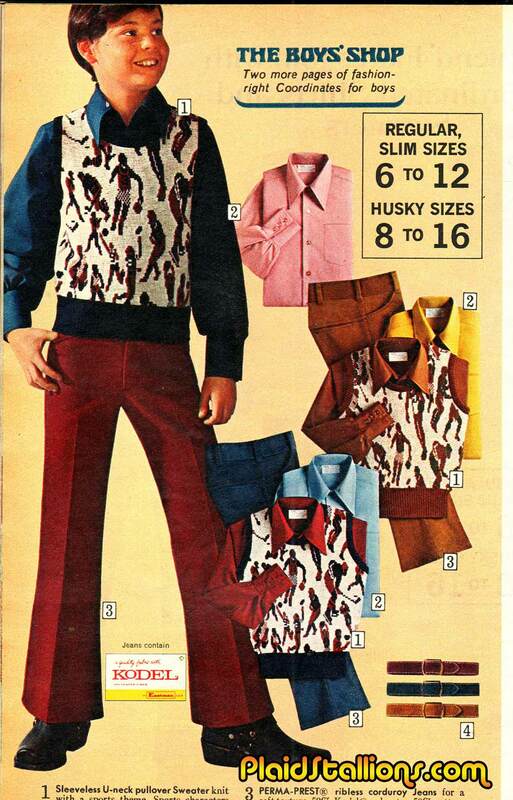 If that wasn't enough, they old catalogs to paw through and the TV blasts vintage commercials. I honestly wish I lived closer. 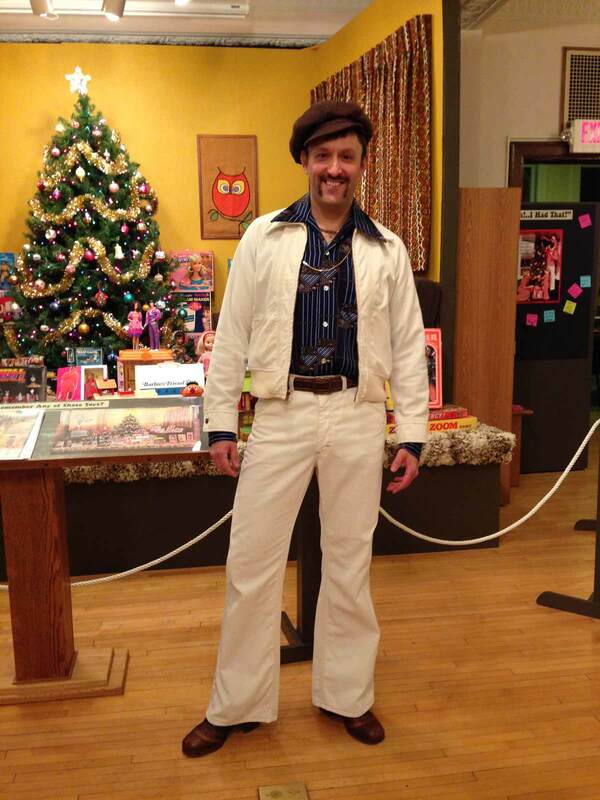 Jarrod also got into the spirit of things by dressing the part for the opening, he claims he's no Brick Mantooth but I think he did just fine. If you live near Sparta, Wisconsin, this looks like a really fun afternoon especially if you're a regular reader here. I found this at flea market recently, seeing it triggered all sorts of good memories and it still had it's foam piece, so ten dollars left my pocket before I knew what hit me. 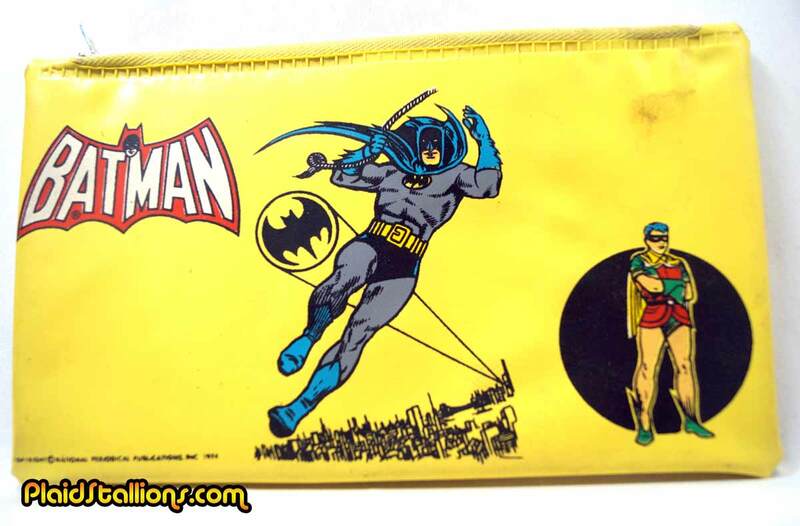 I'm sure I had this, probably more than once, that zipper combined with the cheap vinyl lasted about a half an hour but it didn't seem to matter, it was a Batman pencil case! When will the discrimination against Curling end? 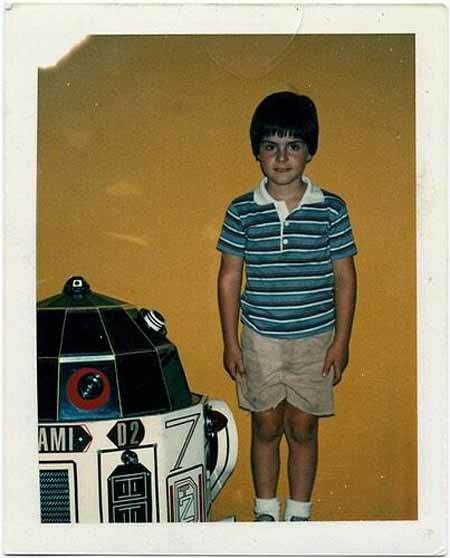 Sean (follow him on twitter) sent in this awesome shot of him and .....R7-D3? I'm not sure who that's supposed to be, oh wait it's R2-D2, says so right on the front. Wow, he looks different in person. 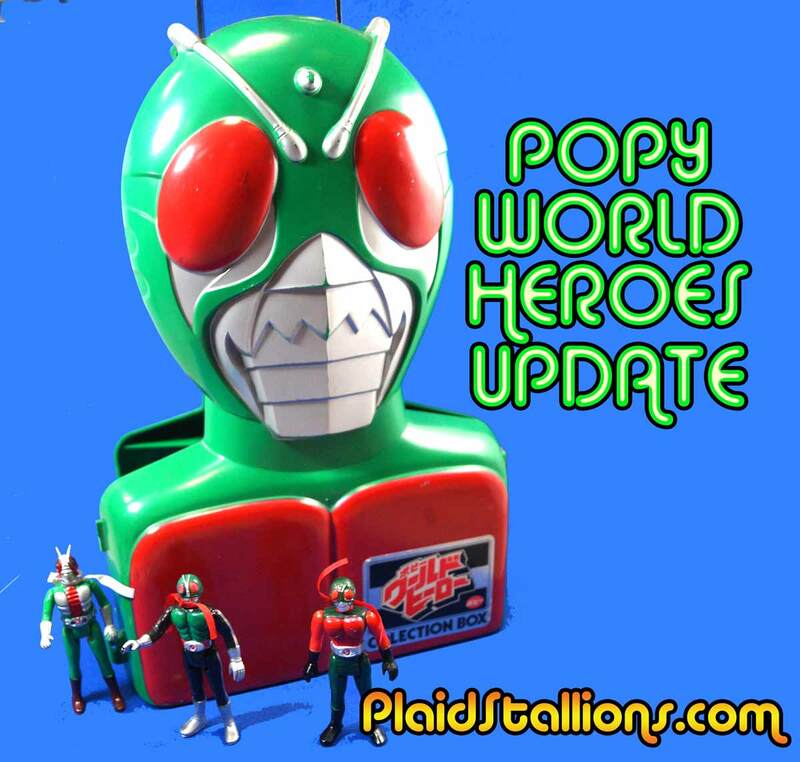 When I first launched the Popy World Hero gallery, I had a few mysteries to solve like who certain characters were and the like. I'm happy to announce that the gallery attracted like minded folks who joined in and helped out, filling in a pile of gaps, like who was mystery figure 17? 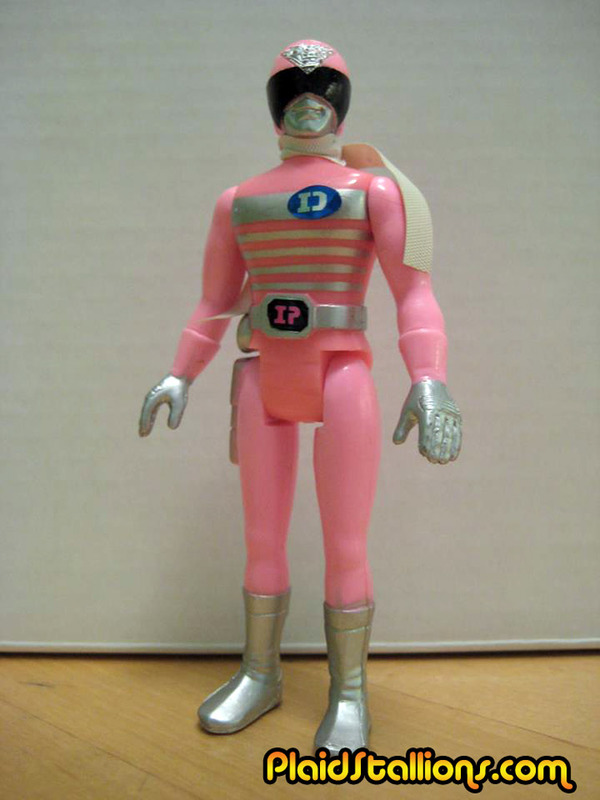 I now know it was Pink Denjiman and I also discovered who figures 19-21 are. This is what it's all about, people coming together in the spirit of cooperation and just sharing information to benefit others, right on. Check out the rest of the new revelations at the revised Popy World Heroes Gallery. 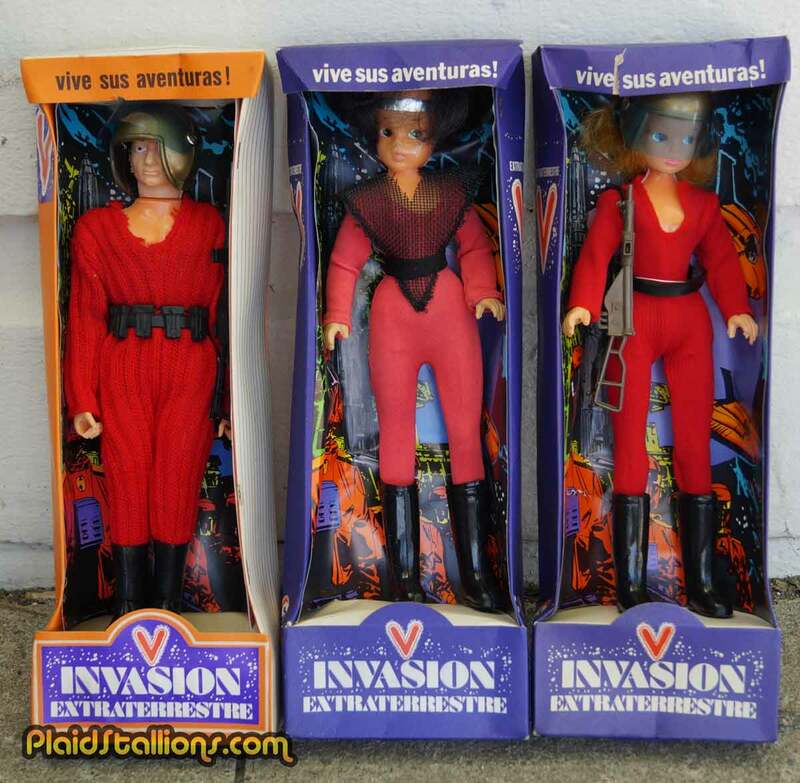 My buddy Dana has uncovered more variants to the V figure that I showed here in April. Whoever made these, they created a lot of different variations and I especially love the one that looks like Diana in the middle. That is the face i make when i am told to come to down to yet another birthday party in the breakroom. For some reason I was really chuffed to discover that Japan not only likes cheap-o rack toys but that they even get the exact same kind. 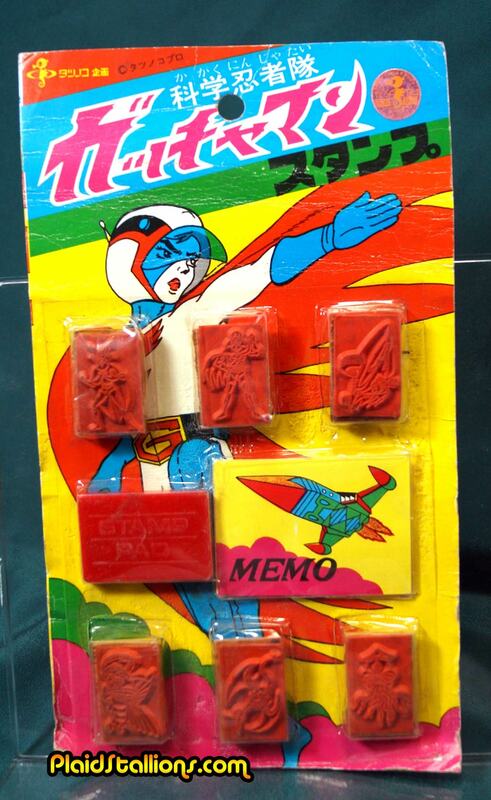 This little set has little stamps of the phoenix, Mark and Zoltar, it would have so easy to put this on an english card and market this to us as kids. Look the note pad's already in english! 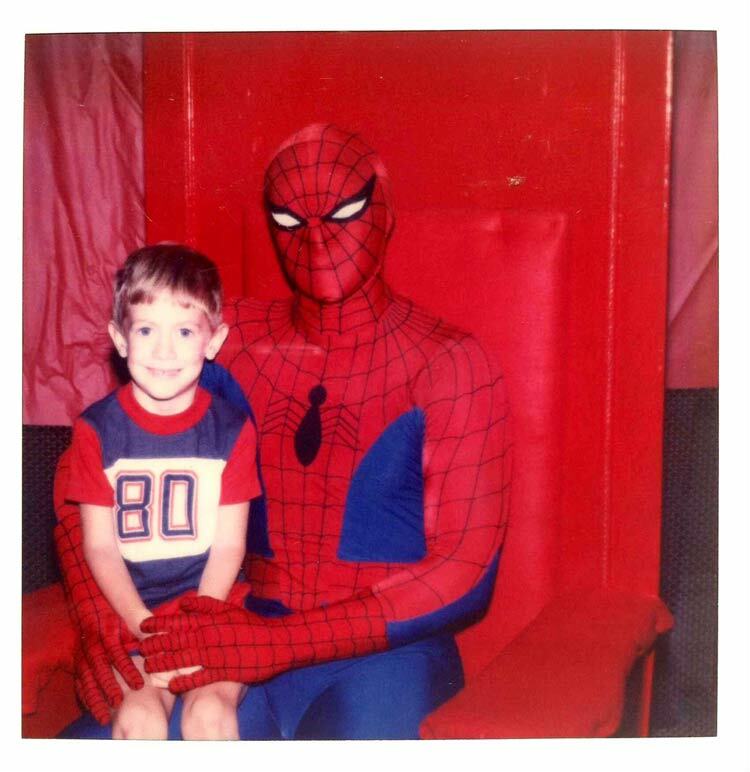 Another terrific vintage entry from my pal Tim Baron (check out his awesome art and creations here) here he is meeting Spider-Man in a pose (and chair) usually reserved for another man in red. That is truly one of the better Spider-Man costumes featured here, thanks Tim! Our November podcast has Jason and Brian waxing nostalgic (which technically is our job) about the glory days of Starlog magazine. Starlog magazine was how both of us first cut our nerdy teeth, a wonderful window into the world of SF and fantasy that gave us that connection. It's safe to say, this podcast owes a lot to this publication. Even if we often times asked for a brown paper bag so as to not get beat up on the way home. 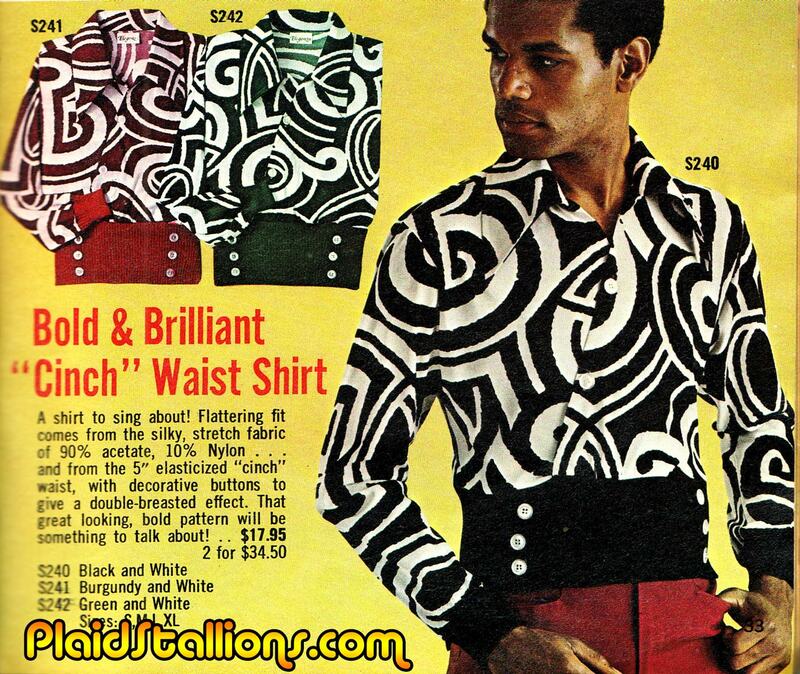 We review landmark issues and of course, talk about the wonderful ads that appeared over the decades. 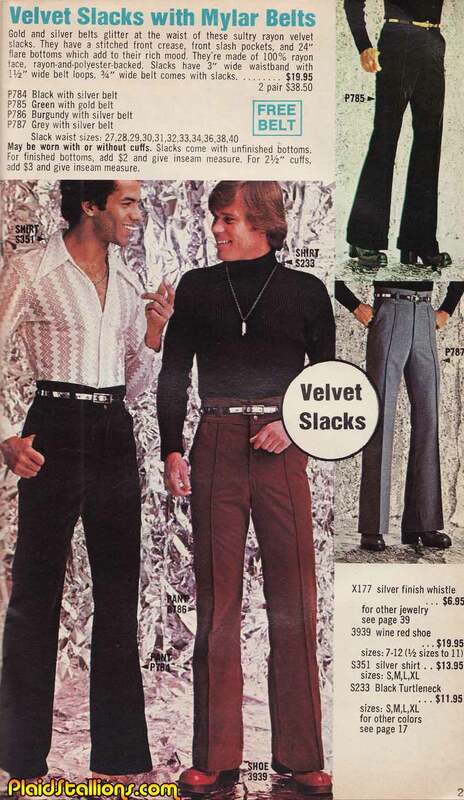 Along the way we discuss SF of the 70s and 80s, Mego toys, Blade Runner, model kits, Flash Gordon, Shatner, Jim Sterenko and most importantly Harlan Ellison's hat. 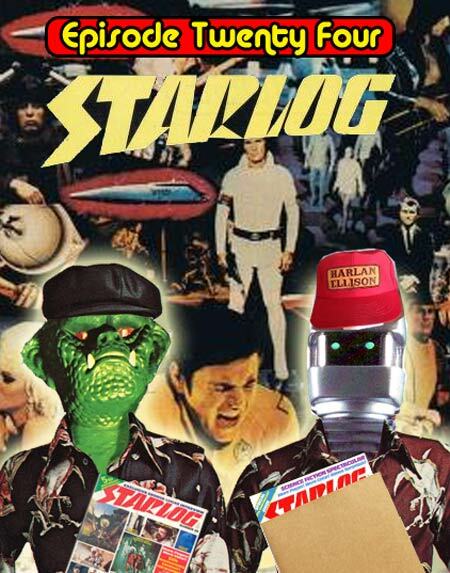 The Official Starlog website is operational again. The majority of issues are available for viewing at this website. 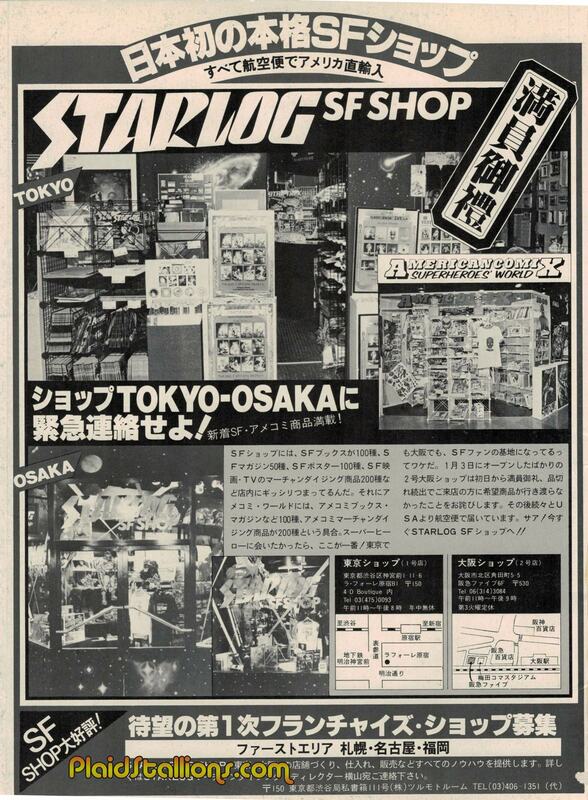 Photos of the Starlog stores in Japan in the late 1970s. A great Huffington Post article about some of the movie rumours that were found in the magazine over the years. The Harlan Ellison trucker hat is calling to you, don't resist, YOU MUST BUY IT NOW! 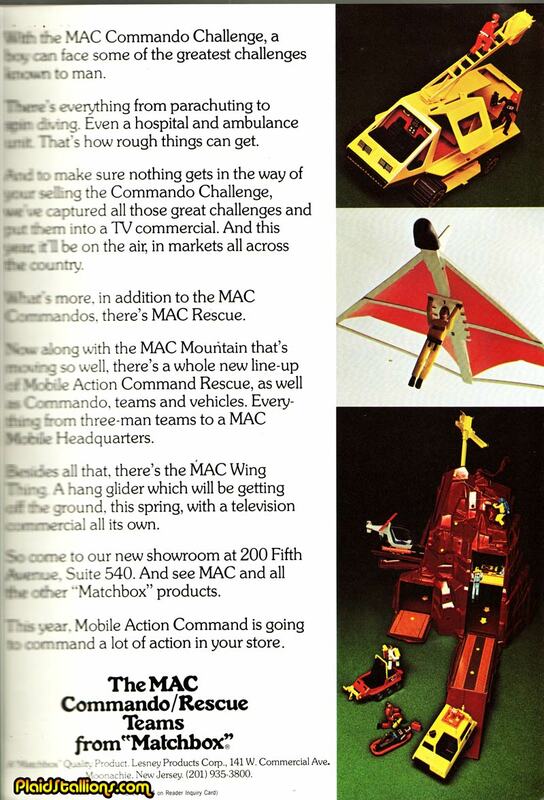 This ad from 1976 makes me happy, Matchbox MAC (Mobile Action Command) was a really fun series of figures and vehicles that are unfairly forgotten. MAC never gave kids any back story (much like the Metal Men) and let their imaginations run wild. 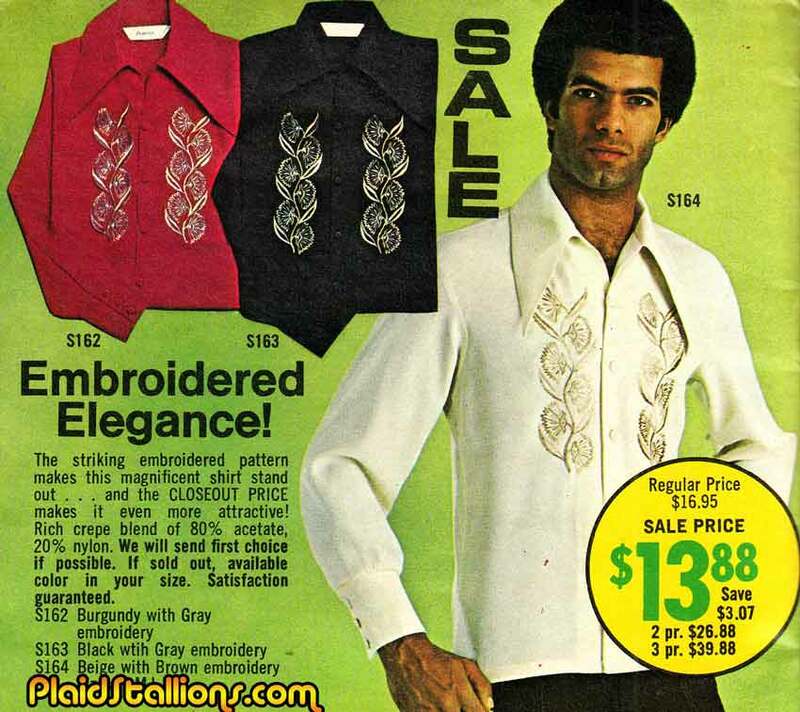 Below is the link to the 1977 MAC catalog, enjoy! 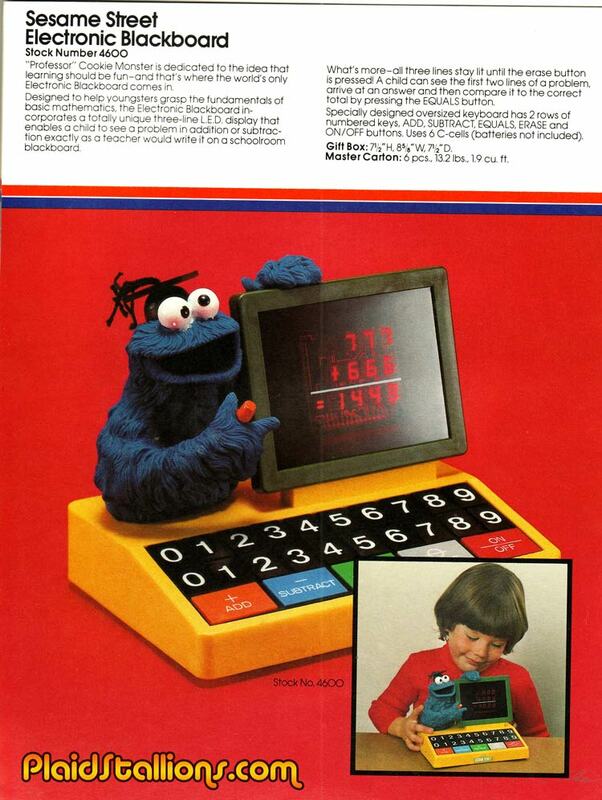 Sesame Street turned 45 this week and honestly, I felt like I should have gotten it something. So in honour of this momentous occasion, I'm going to try and make my desktop look like this wonderful device. 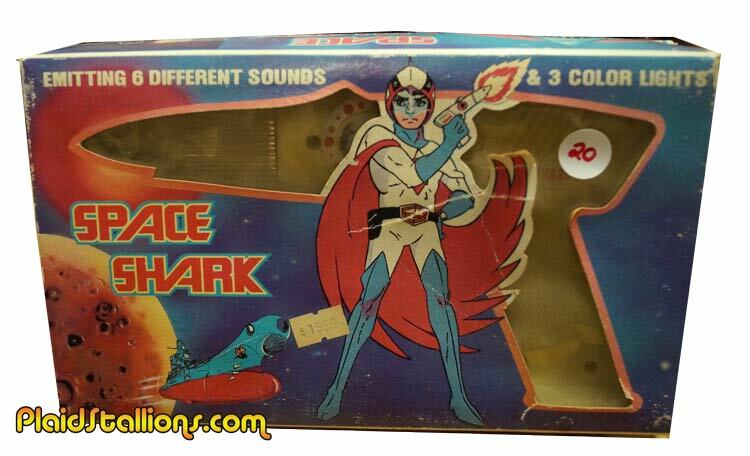 Space Jaws is on the side panel! What these three properties have to do with one another isn't a question I intend to answer in my lifetime. 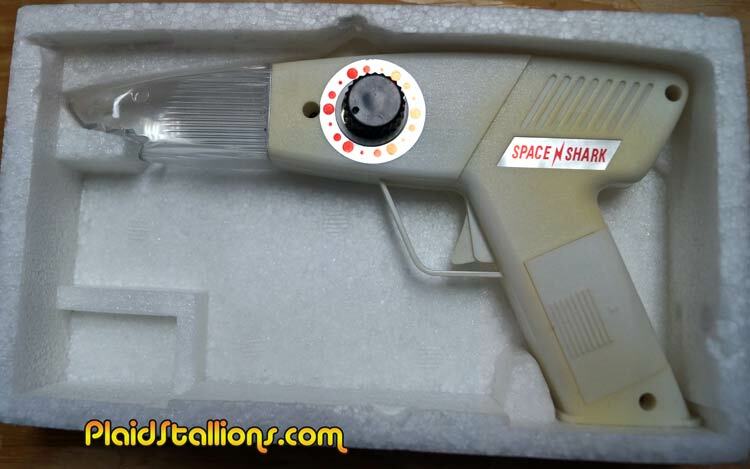 The gun itself is all kinds of cool featuring a shark face on the end, it kind of sells itself really. 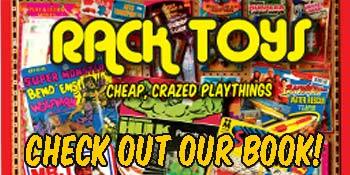 Our book celebrating Rack Toys is nearly sold out. 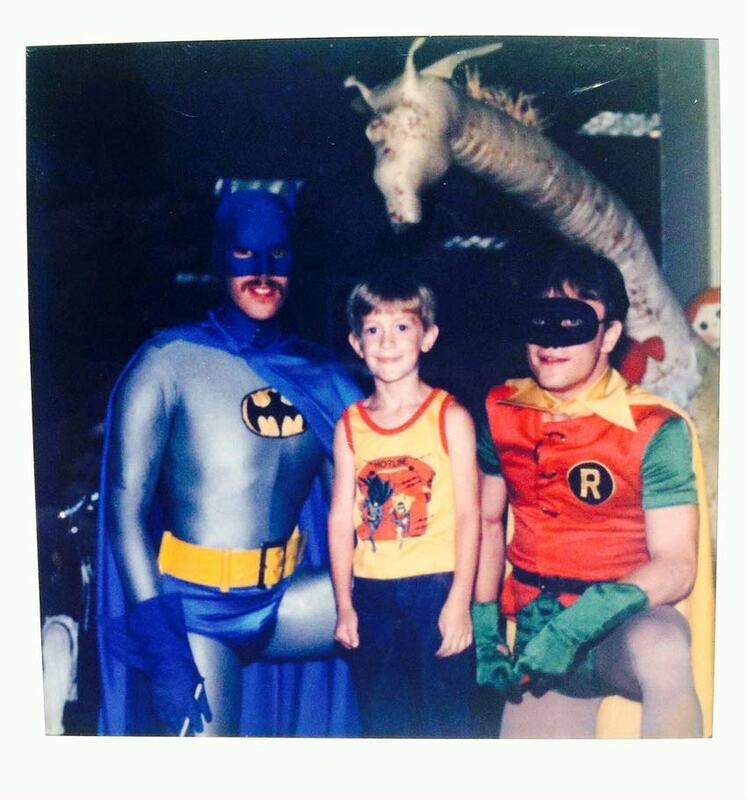 My pal Tim Baron (check out his awesome art and creations here) sent in this terrific early 80s shot of him meeting the caped crusaders. Tim tells me that "he wasn't fool by the moustache for a second". Good eye Tim, that Batman has "Wendy's night manager" written all over him. 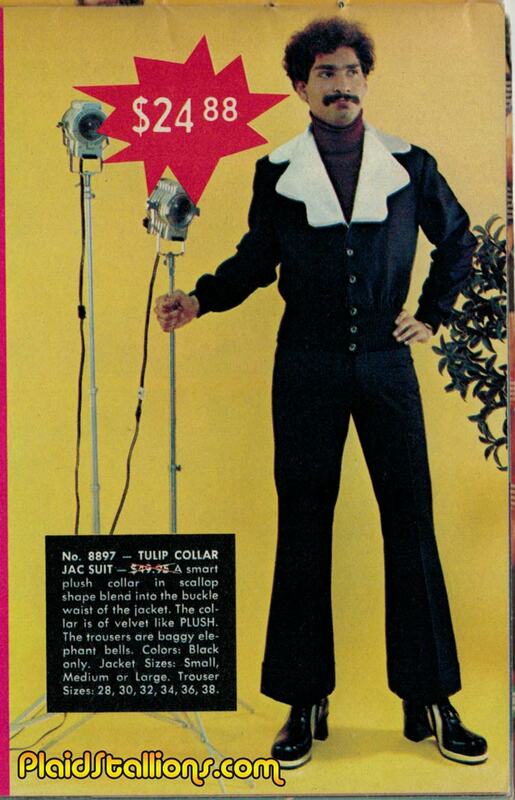 Like a lot of 70s kids, I cut my nerdy teeth on Starlog magazine. 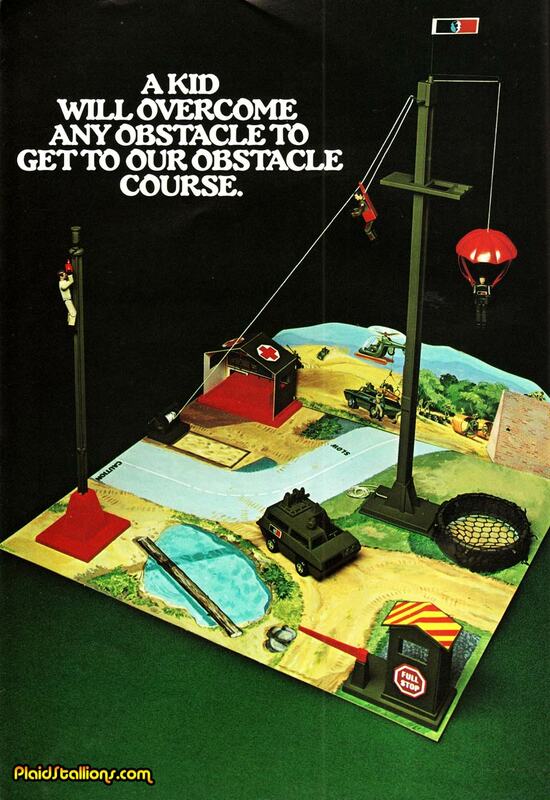 It was basically my window into a world of wonder that wasn't available where I grew up. 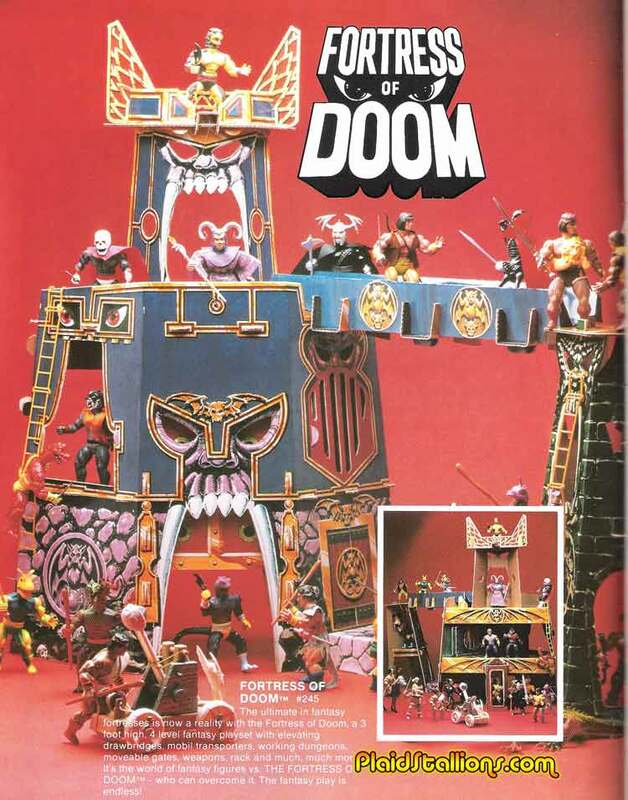 As a struggling student in the 90s, I used to visit the Starlog store in New Jersey twice a year and stare at the toys I couldn't afford. That's why I loved finding these shots and ads for the Starlog store in Japan in the late 1970s, I'd have killed to visit them. Lots of cool vintage shots after the jump! Not just a fashionable top, if you uncross your eyes, you can see a sailboat!